Facebook is in the news yet again for security issues. Although the media is closely following the policy changes that Facebook is making, what is equally making headlines is how Mark Zuckerberg has communicated about the issue. Every year it seems technology is becoming more and more influential in the way we communicate and interact not only socially, but also professionally. Social media and technology have made communicating with public figures and corporations more accessible, while also opening doors for CEOs and companies to interact with their customers and the people who use and are affected by their businesses. As the communications industry continues to evolve, CEOs and executive leaders need to evolve with it. Below are the five communications issues that CEOs and executives need to pay attention to now, and what actions they need to take to stay current. Fake News – Fake news is probably the most important issue in communications today. Fake news can happen to anyone, at any time, without warning. According to a MIT study published earlier this month, fake news reaches people six times faster than real news. This massive study looked at more than 126,000 stories, and showed that false stories in every category, whether it be business, terrorism, science and technology or entertainment, outperform the truth every time. While companies can’t always stop fake news from happening, what they can do is have a process in place whereby they can monitor for, assess and potentially respond to fake news. It is also important to have a steady drumbeat of controlled and authentic communications coming from the CEO or company social pages, so that there is plenty of “real” news already present online to circumvent a potential fake news crisis. The Social “Score” – Successful CEOs are not only more active on social media, but they also engage with their audiences on personal topics and anecdotes, according to a study by Ruder Finn. The study, called The Social CEO, looked at how high-performing CEOs use social media and found that to be competitive, CEOs must find ways to leverage the power of social media as a means to bring their story to life and connect with customers, investors and other audiences. Leadership style must evolve to stay current. CEOs and executives can no longer lead without the influence of the social world, nor can they rely on traditional media to shape their image. How much they post, interact with their followers and respond to issues directly affects their reputation and the success of their leadership. Social Movements 2.0 – While trending hashtags are nothing new, leaders cannot ignore the influence hashtag movements have on companies. Hashtags have the ability to turn public opinion about a topic, company or person in a matter of days or even hours, and leaders need to decide quickly whether to engage in, respond to, or become part of the movement. For example, we saw the rise of the #metoo movement in 2017, one of the most prominent hashtags of 2017, which is now affecting the way companies look at culture and harassment policies. Another example is United Airlines, who has had a slew of public relations disasters in the last year. The latest one, whereby a dog was forced to ride in the overhead bin and died inflight, resurfaced the #BoycottUnited hashtag on Twitter, resulting in more than 3,500 mentions since the incident- nearly one third of all United mentions on Twitter. Leaders need to pay attention to online activity and take hashtags seriously, and assess future company policies based on important and influential social movements. Employee Experience – Internal communications is no longer just about informing employees of news and updates, it’s about creating a culture based on experience, connection and engagement. Technology will play a front and center role as companies leverage mobile to deliver text updates, internal chat platforms and virtual meeting spaces. As sites like GlassDoor and other social channels become more influential in attracting (or deterring) prospective talent, it becomes even more critical for CEOs and leaders to address feedback head-on and show employees the tangible changes they are implementing. Employees are more empowered than ever before, and a company’s reputation is affected more than ever by how its leaders engage with employees both online and offline. Data-driven Decision Making – Companies have been using data and analytics for some time to drive decisions, better understand consumer behavior and test products. However, the use of data and analytics in communications is still evolving. CEOs and executive leaders have the opportunity to not only go beyond how many people they reach, but to also better understand what topics resonate best, audience demographics most likely to respond to particular messages, and how communications affects company performance. Data and analytics can no longer be an option when it comes to communications. The bottom line is technology is changing the way we communicate with each other, but with that change there have opened up new possibilities for the way CEOs and leaders engage, respond to and interact with their customers and employees. 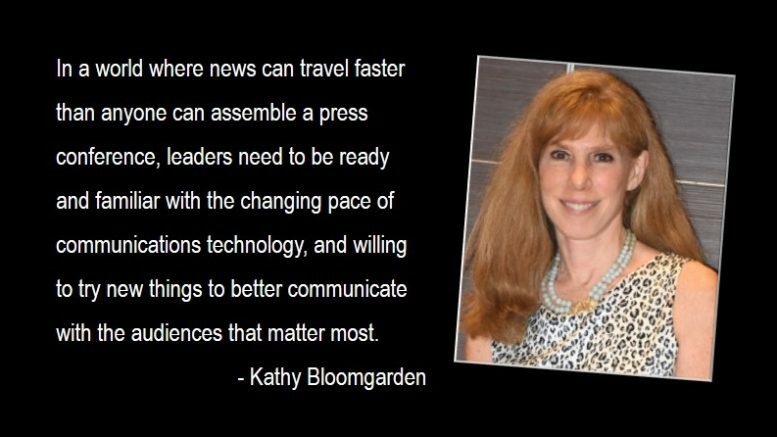 In a world where news can travel faster than anyone can assemble a press conference, leaders need to be ready and familiar with the changing pace of communications technology, and willing to try new things to better communicate with the audiences that matter most. In the words of Albert Einstein, “We cannot solve our problems with the same thinking we used when we created them.” In many ways, leaders must think like “inventors” themselves, and continually try new ways of interacting and reinventing the way they communicate based on the changing world around them. 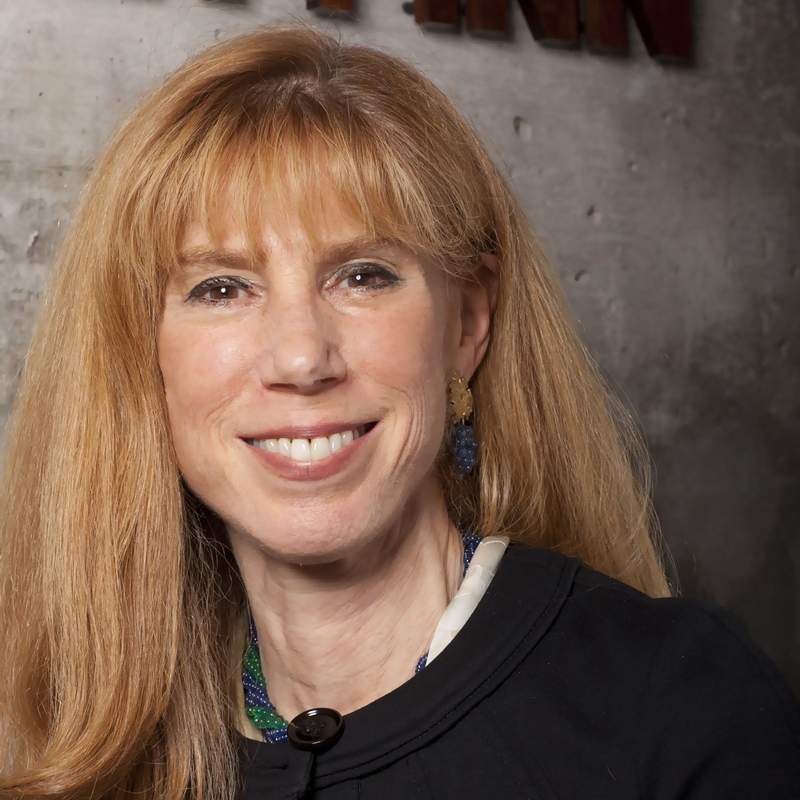 As CEO of global public relations firm Ruder Finn, Kathy Bloomgarden has spent much of her career shaping the corporate reputations of big name clients like L'Oreal, Microsoft, PepsiCo and Visa. With over three decades of experience in the field, Kathy was introduced to Public Relations by her father David Finn. Kathy tirelessly serves the public relations needs for over 250 corporations, governments and non-profits. She's also a member of the Council on Foreign Relations and has written a book entitled, 'Trust: The Secret Weapon of Effective Business Leaders'. Be the first to comment on "The five biggest communications issues facing CEOs and leaders today"